Combined statements of revenues, expenditures, and changes in fund balances for the year ending December 31, 2009. 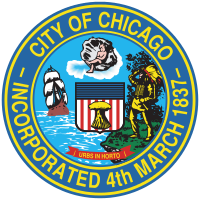 This dataset is a list of Chicago Landmark Districts designated by City Council upon recommendation of the Commission on Chicago Landmarks. It contains the name of each Chicago Landmark District along with the date of its designation. Additional information about each Chicago Landmark District, including district maps, is available on the Chicago Landmarks home page at http://j.mp/lRJVnh. Districts which have been proposed for landmark designation by the Commission on Chicago Landmarks and remain under consideration are not included. This information is for illustrative purposes only; the legal boundaries are as identified by the respective landmark designation ordinances. A data set containing Individual Chicago Landmarks is available separately. Go to http://j.mp/m7t5nB to access the related GIS layer files. You will need compression software and special software, such as ESRI ArcGIS, to use the GIS files. Curb lines for the city of Chicago. Curb lines mark the points where curbs meet the edge of the street pavement. To view or use these files, special GIS software such as Google Earth is required. To download, right-click the "Download" link above and choose "Save link as." This is a KMZ zipped file, and therefore upzipping software, such as 7-Zip, is required to convert to KML.